A little boy in Texas is alive today thanks to the generosity of a complete stranger who donated bone marrow two years ago. This past Sunday, they met for the first time. "Hey, little man," said Neil McMillin as he kneeled down to hug Kayden Nazzario. McMillin is a Sheriff's Deputy in Cleveland County, Oklahoma, near Oklahoma City. He signed up to be on the National Bone Marrow Registry. Years went by, until he got the call, he was a match for Kayden, who was just a baby. He has a rare disorder and desparately needed a bone marrow transplant. "The chances of us finding a match are so rare. Knowing that he might not have a match out there and that was his only chance at living a normal life, then none of us being a match, it was devastating," says Kayden's mother, Shelby. McMillin was happy to help, but says meeting Kayden, even years later, was unlike anything he's ever done. "My heart is pounding out of my chest. Being a cop, I've dealt with a lot of scary things at times. This tops everything by far," he says. 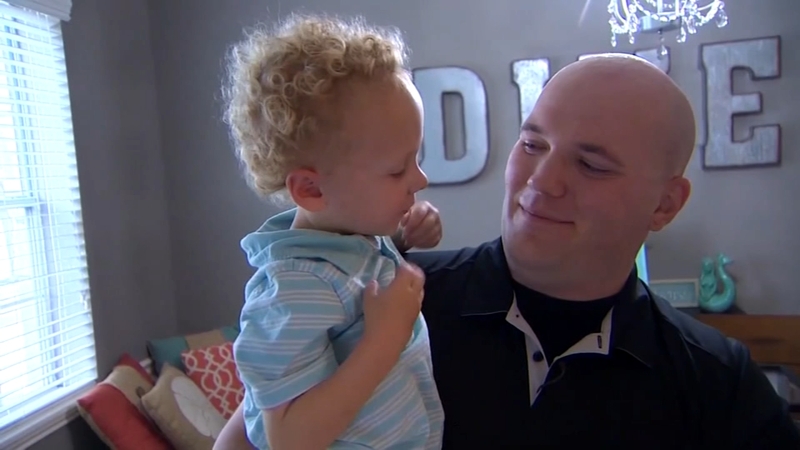 Since his donation to Kayden, McMillin also learned he was a match for a second person. He donated again earlier this year. To find out how you can sign up to be a bone marrow donor, click here for the BeTheMatch program. The program is always in need of racial and ethnic minorities, for whom a closer match is required.